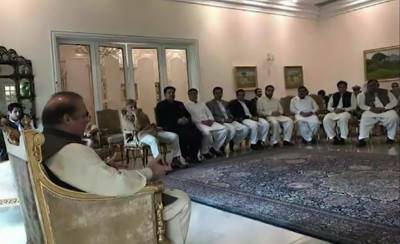 LAHORE – Former prime minister Nawaz Sharif has on Wednesday chaired an important meeting of party leadership at his Jati Umra residence. During the meeting, matters pertaining to country’s current situation and next general elections came under discussion. The meeting also agreed to accelerate mass contact campaign.